MY FAVOURITE FOUNDATIONS | RAWR BOWS. Hello guys! 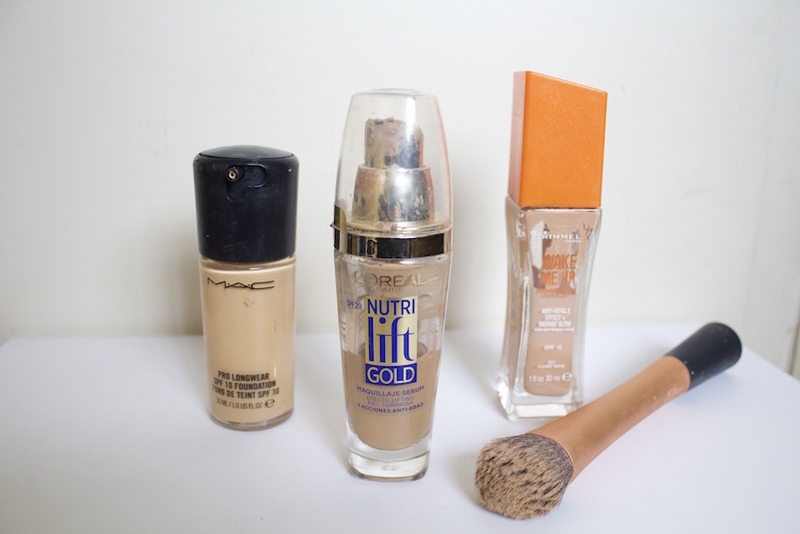 Today I am going to share with you my top 3 foundations for every day wear. I do wear foundation almost every day so I like lightweight foundations that give me medium coverage. I hate it when a foundation feels thick or cakey, it's honestly the worst feeling. Here you have my top 3. 1. MAC Pro Longwear (review here). The name doesn't lie, the foundation is for long wear. As I mentioned in my review, it looks almost intact after 10 hours and that's not something you can say about most foundations. It gives me medium coverage which is great but it can also be built up to give full coverage easily. 2.Rimmel Wake Me Up. This is one of my favourite foundations for spring and summer as it gives you a glowy look due to it having micro glitter (not too sure if it's glitter but it definitely looks like it). I'm not going to lie, I wasn't too sure about the glitter at first but you really can't see it when it's on your face and it does look really good. It gives medium coverage but again, it can be built up to improve the coverage if you need more. 3.L'Oreal Nutrilift Gold. This was the first foundation I ever bought and even thought I don't really use it that often anymore it still is one of the best foundations I've ever tried. It gives medium coverage and it feels really lightweight which is what I love so much about it. What foundation do you currently use?